What is the Family Nutrition Program? 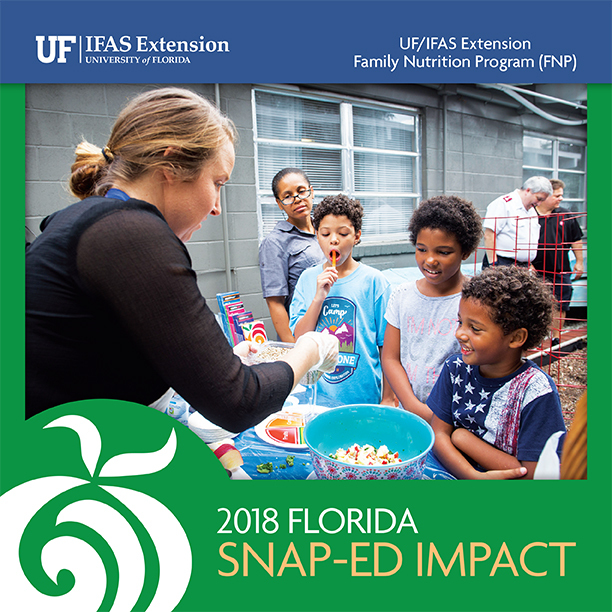 The UF/IFAS Extension Family Nutrition Program (FNP) has provided free nutrition education to SNAP-eligible people in Florida since 1996. FNP also provides free resources for local organizations to support and promote healthy eating and physical activity in their communities. The FNP program is currently in 40 counties. "Not only do I feel better, but my adult children have even noticed a change in my attitude and they thank you too! I am over 80 years old, and I would not touch yogurt. That sample you gave me was actually good! I eat it for breakfast now instead of pastries and use all kinds of different fresh fruit." 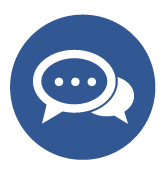 AN OLDER MAN WHO RECEIVED NUTRITION EDUCATION at Family Worship Center Food Pantry, St. Augustine, Fla.
"Thank you so much for teaching me how to make a lot of different recipes and that it is important to eat from all of the food groups. Now when I go shopping with my mom at the grocery store, we make a list and try to get items from all of the food groups. Then we go home and cook dinner together as a family!" 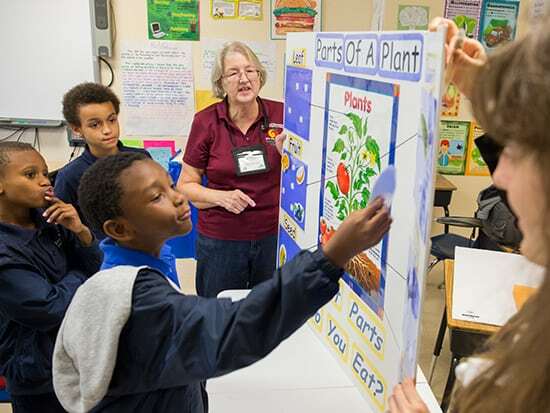 A TEENAGE GIRL WHO ATTENDED A CLASS SERIES at the Edgewater Branch Library Summer Reading Program, Orlando, Fla.
"Your class changed my life! I am very thankful. Had I not learned the tools to make better, healthier choices regarding my nutrition, I was surely on my way to a myriad of health problems. I now have the knowledge to read labels and make meal plans and shop." A WOMAN WHO PARTICIPATED IN COOKING CLASSES at UF HealthStreet, Gainesville, Fla.
Want to learn more about our impact in 2018?